Part way of saving money, part treat (ok maybe more treat) I've signed up for a Cineworld Unlimited Card. The idea is that we like going to the cinema but really don't like the prices we're charged for the tickets. Orange Wednesdays help yes, but it's so busy you have to set aside a whole chunk of time before to queue up for your tickets. Now with our Cineworld passes we can go any time and see as many films as we like. Perfect. To celebrate this we ventured over to the O2 on Saturday morning for a double feature of The Woman in Black and The Vow. They contrasted well, TWiB providing the fear factor and The Vow the tear factor. I recommend them both, although if you're prone to not liking terribly cheesy films I'd steer clear of the vow. 'Cus it pongs. 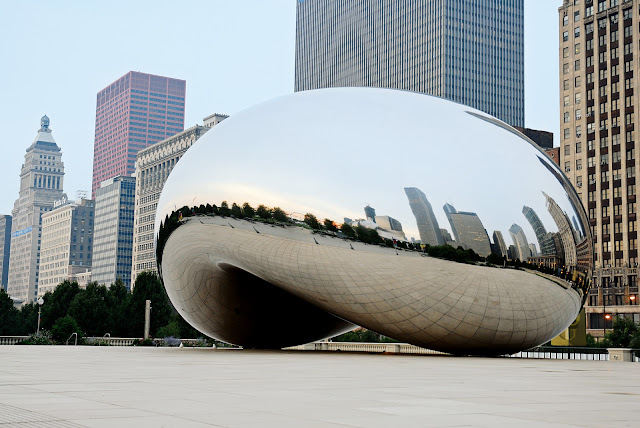 The Vow did have one culturally redeeming quality though, set in Chicago and Rachel McAdams' (told you, cheese) character being an artist, many of the scenes take in the city's public art including Anish Kapoor's mammoth sculpture Cloud Gate in Millennium Park. Having only seen it in photographs and not in person (hint hint anyone who wants to fly my to Chicago) the big screen really brought home how impressive it is. The MCA Chicago is also name-dropped.